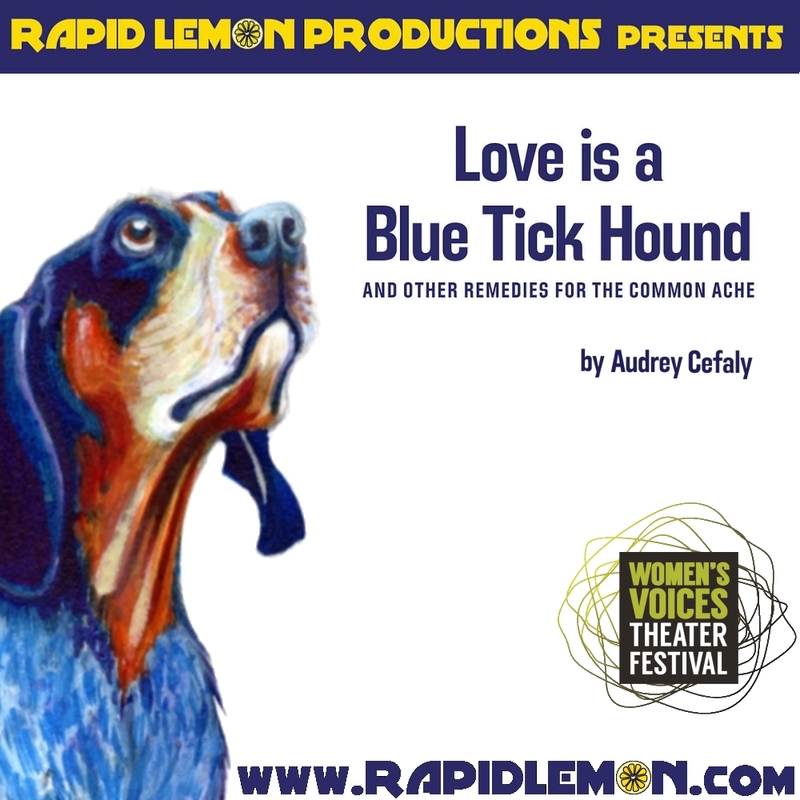 BALTIMORE, MARYLAND December 4, 2017 — Rapid Lemon Productions will present the regional premiere of Audrey Cefaly’s Love is a Blue Tick Hound this winter as part of the Women’s Voices Theater Festival. 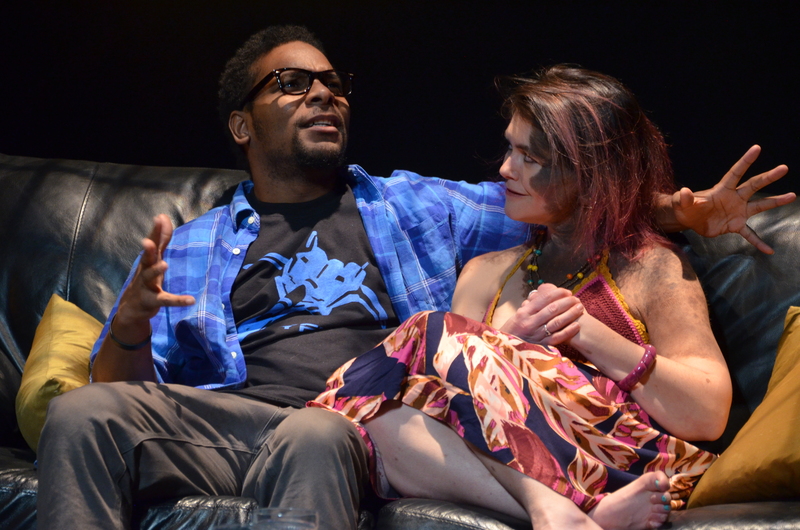 The production is a collection of four 20-minute plays, three of which have received New York premieres and all of which have won multiple festivals throughout the U.S. and Canada. 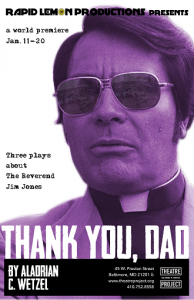 Performances January 12-21 at Baltimore Theatre Project, 45 W. Preston St., Baltimore, MD 21201. Phone (410) 752-8558. 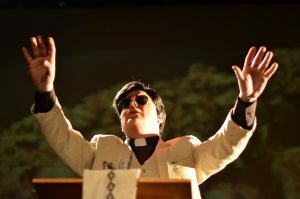 Online www.theatreproject.org. Performances February 9-17 at the Trinidad Theatre, Logan Fringe Arts Space, 1358 Florida Ave. NE, Washington, DC 20002. Phone (866) 811-4111. Online www.capitalfringe.org. Love is a Blue Tick Hound is presented by special arrangement with Samuel French, Inc.
Director Lance Bankerd pairs a contemporary play by award winning Irish playwright Darren Donohue with an absurdist classic by Irish avant-garde master Samuel Beckett and delivers an evening of comic highs and depressing lows in two oddly complementary works about searching for meaning in a meaningless world. 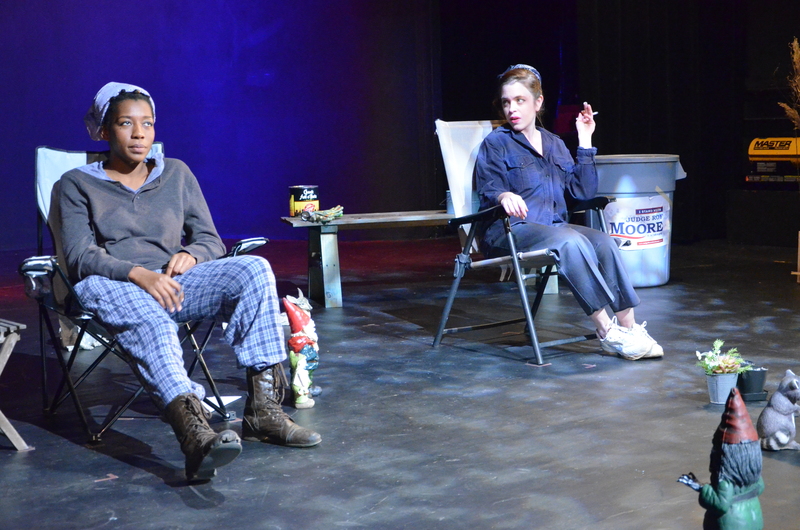 The opening act, Dononhue’s Voices in the Rubble is a manic take on the absurdities of everyday life, marriage, the workplace, and unrealized dreams. Bankerd takes an inspired directorial take on the piece, framing the farce in the device of an idyllic 50s sitcom, albeit one on LSD. 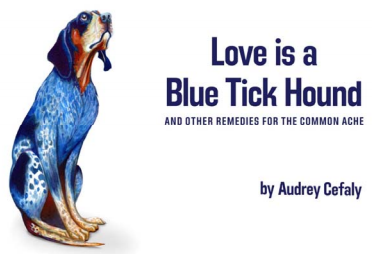 He creates an anti-Ozzie & Harriet if you will, if Ozzie and Harriet were dissatisfied, sexually out of control suburbanites of questionable mental health and David and Ricky may or may not be dead in the fridge. Lee Conderacci and Zack Jackson portray Tony and Avril, a married couple who have each lost their way and in the process discarded their values, their virtues, and all sense of discretion. Opening with a cheery, stereotypical “Honey, I’m home!”, in place of the expected trite “How was your day?” banality, Tony greets Avril with the news that he has been fired from his job for having sexual relations “in flagrante delicto” with his secretary. Avril counters that she may have killed the mailman (or the milkman, or his brother, or….) and stowed him in the refrigerator. Conderacci and Jackson flit back and forth in rapid fire scenarios that reveal their frustrations, their abandoned dreams, their loss of purpose, and, through it all, their unquestioning love in the face of their many sexual dalliances and possibly criminal activity. Bankerd filters this all through the wholesome values and suburban perfection of classic American television. Equal parts Ozzie and Harriet, Burns and Allen, and Lucy and Ricky, this pair spins a dizzying story of the events of the day, their marriage, and desperate future in the context of a standard 30 minute sitcom episode (minus commercial breaks, of course). His actors are gamely on board embracing his vision, aptly changing directions and emotions in the brief pauses where the laugh track would traditionally be inserted. Aided by Matthew Lindsay Payne in the stock role filled by the wacky neighbor, albeit in this case one who doesn’t live next door but in the couple’s refrigerator. His George compounds Tony and Avril’s absurdity as his identity develops after his introduction as Avril’s intended victim, killed and stuffed in the fridge. The three, eventually joined by Bankerd himself as the Man, a critical cameo whose identity is best left for the viewer to learn, all play exceptionally well off each other in the manic style Bankerd has developed without losing any sincerity of the characters’ journeys, arriving in the most decidely unorthodox sitcom ending ever (not counting that horrible Will & Grace finale). 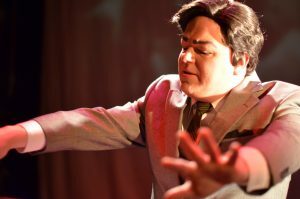 Sebastian Sears and Deana Fisher Brill also deserve praise for providing minimalistic set pieces and costumes respectively that handle the constriants of the small performance space but hit all the right retro notes as far as style and colors to enhance Bankerd’s vision. During intermission, the performers move the dressing room to the set and prepare with their makeup artists for the more demanding apocalyptic visuals of the act to come. This allows the audience to subtly shift gears in preparation for an experience that thematically complements where they’ve just been but approaches it from a distinctly different angle. 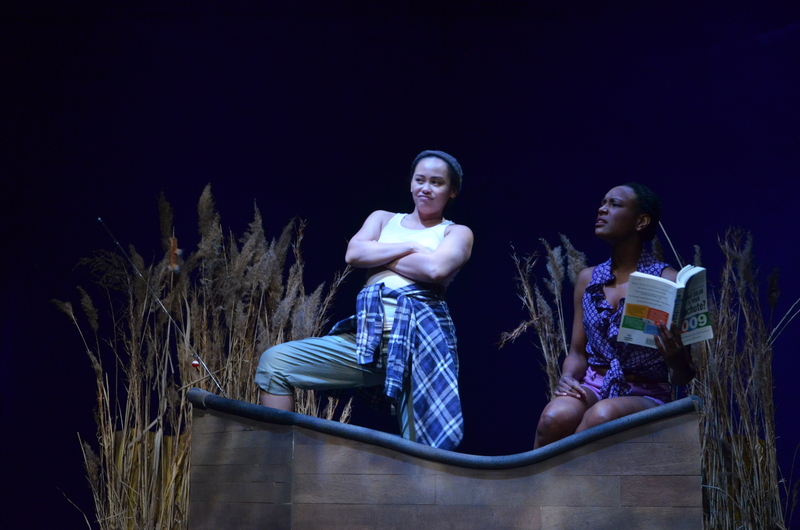 Bankerd blends this performance art choice seamlessly into the start of the second piece, where Payne transitions into protagonist Clov in front of, and with a costume assist from, the audience. He adeptly (through a nearly ten minute dialogue free pantomime) scours the world he now embodies like a post-apocalyptic dumpster diver acquiring supplies for the day to day survival of his makeshift nuclear family back home. His return couldn’t be any further from “Honey, I’m home”, but more of a soul crushing “Omigid, I’m in Hell.”. The dark nucleus of his family is Hamm (Jackson), who took Clov in as a child, but now sits angrily in the center of a room, blinded and confined to a wheel chair, perpetually wallowing in his helplessness and bitterness, and Hamm’s senile parent’s Nagg (Bankerd) and Nell (Conderacci), both of whom have lost their legs and live in separate side by side trash bins. (Don’t ask. Beckett.) The foursome take the audience on a jouney through their hopeless lives and lost histories. They are a study of four free falling souls adrift in the world, frequently detesting yet always depending on each other. They are physically contrasting incomplete individuals who each possess pieces of what the others have lost. Clov has a disability that leaves him with constant pain in his feet, legs that barely work, and the inability to sit down. Hamm is confined to the chair, thus can’t stand, and depends on Clov to be his legs and eyes. The parents depend on Clov to be their legs and provide their very sustenance, and for Hamm and each other to be their fading memories. The four embody all the stages of life in a world that ceases to exist as we know it, almost as the upside down, inside out, thoroughly devastating version handed us by the ancient Greeks. Clov is a young man who is physically unable to exist on his own, facing a future of nothing but pain and despair. 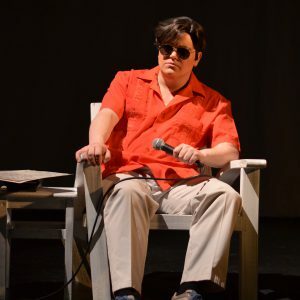 Hamm is the middle aged man who is stranded in a bleak life he never planned. Nagg and Nell are a sad, pathetic pair representative of life on the decline, their bodies, minds, memories, and basic humanity failing them daily, the only comfort to look forward to is their impending release from it all by death. Bankerd’s inspired pairing of the two pieces works for thematic purposes. He traces historically a path from the classic beginning of Beckett to an evolution of those themes via Donohue present day. Bankerd elaborates, “Both deal with the existential woes of finding meaning in a meaningless world. they share themes of routine, repetition, and people being trapped,” in these instances literally as well as figuratively. He describes the evening as an elevator ride. “Voices takes you a few floors down. Endgame cuts the cord.” In Bankerd’s able hands and finely focused vision, that elevator ride plays more like the Tower of Terror. Placing the two pieces together in repertory gives Bankerd two dual challenges. Voices, on one hand, requires him to interpret and visualize the world he finds on Donohue’s pages. Beckett, on the other hand, is a rare playwright that is adamant about his staging, providing stage direction and set design specifics, and has freely bashed productions who have strayed from them. Thus for the second act, Bankerd is required to filter his interpretation and visualization through the author’s concrete demands. The combination also gives the quartet of very talented actors two totally disparate vehicles in which to display their range and depth by either playing off or contrasting their two characters. Jackson at the center of each piece (quite literally for the second) is a capable and dynamic core off which to build. We watch Tony in Voices spiral out of control as he eventually comes face to face with his uncertain future. In Endgame, he displays the contempt and devastation of a man whose uncertain future has become a dreaded reality. Conderacci provides a subtle continuity. Her Nell is a Blanche duBois-like faded version of Avril, desperately depending on the kindness of others. Her Avril desperately clings to any vestige of her unattainable dreams before it is too late. In her Nell, we see a woman whose dreams not only never materialized, but the cruelties of aging and the world have assured they never will. We mourn for her yet are touched by her as the lone instance of the world’s lost gentility and refinement she retains. Bankerd is the culmination of the roller coaster comedy in Voices, and the extremely welcome sole voice of comedy in Beckett’s dreary world. 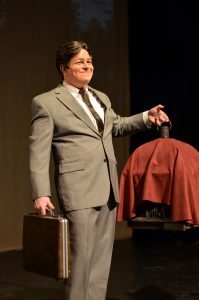 An equally accomplished actor as he is a director, Bankerd unquestionably succeeds playing characters almost twice his age in both pieces, hopefully alluding to a long future for him on stage as well as behind the curtain. Payne however in a showdown wins the evening for displaying sheer range and acting prowess. His manic performance in Voices alone requires continuous flexibility and adaptability as Avril and Tony change the parameters of his existence with exhausting frequency. But in Endgame, his pathetic and emotionally wrenching portrayal of a young man trapped in a life of misery and despair, chained to people and situations that can only be remedied via death, his emotionally devoid performance is ultimately heartbreaking. Bankerd and company succeed in combining both of these works and exploring the meaningless in which they have completely thrust themselves. Voices in the Rubble allows us to laugh at the comic potential of what such an existence represents. In Endgame, they beat us down with the dread of what such an existence truly is. 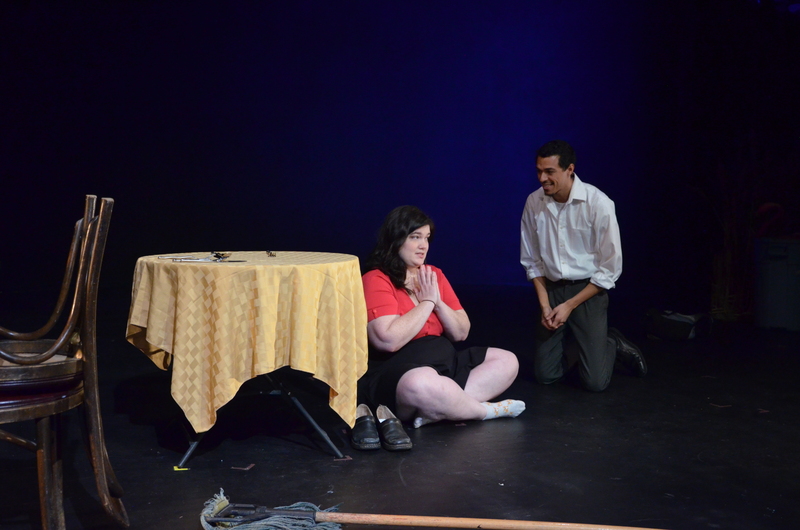 This is what I thought of Rapid Lemon Productions’ production of Voices in the Rubble and Endgame… What did you think? Please feel free to leave a comment! Voices in the Rubble and Endgame will play through May 21 at Rapid Lemon Productions, Motor House, 120 W. North Avenue, Baltimore, MD. For more information, go to www.rapidlemon.com or purchase tickets online.